You are here: Home / Politics & Government / No smoking rooms at the inn? No smoking rooms at the inn? Not only that, Pugal says her organization was not at the table as the compromise was being negotiated. 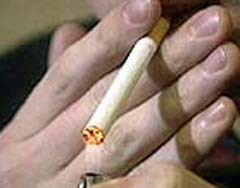 “If we had been, we could have provided some of the important information about the neighboring states and the issues with privacy, about how we&apos;re not able to monitor whether or nor people are smoking in the rooms,” says Pugal, explaining that neighboring states with smoking bans continue to allow their innkeepers to offer the choice of smoking or nonsmoking rooms.